We offering of Chrome Magnesite Bricks is provided by our organization at reasonable prices in the market. 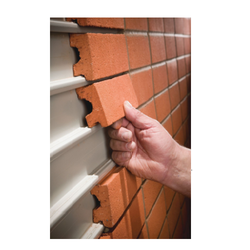 These products are made using premium material that offer strength to these bricks. Besides this, the products we offer stand high on the parameters of quality, durability and strength. We are involved in supply of Chrome Magnesite Bricks. These bricks are mainly used as bricks of the regeneration zone. These bricks find use in various applications like rotatory kiln, non- ferrous furnaces and open hearth. They have high anti-erosion ability, and optimum resistance.They are shaped under high pressure and sintered at very high temperature. We offer our customers a wide range of Basic Products - Magnesite Mag Chrome & Chrome Mag Bricks types of MAG-I, MAG-II, MAG-III, MAG-IV, CHM-I, Chrome, MCH-I, MCH-II, MCH-III and PERICEM. Chrome Magnesite BricksWe are involved in manufacturing and supplying of Chrome Magnesite Bricks. These bricks are mainly used as chequer bricks of the regeneration zone. 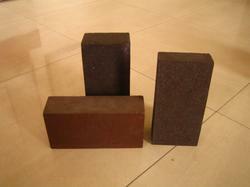 These bricks find use in various applications like rotatory kiln, furnaces and open hearth. They have high anti-erosion ability, and optimum resistance.